Are you looking for a way to cut down on energy consumption and to reduce your monthly bills? Would you like to be in full control of your security, electrical and HVAC systems? 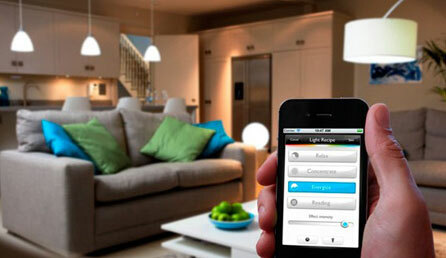 Would you like to make your home a bit smarter? At Russell Electric Inc, we provide excellent home automation services in Kitchener, Cambridge & Beyond, including the installation of new equipment from scratch as well as the replacement of old equipment that no longer functions as it should. Whether you’re eager to get started with a new home automation system or you desperately need your system repaired, we’re here for you. .